I wanted to share a photo of my bouquet that's been blooming out over the weekend. 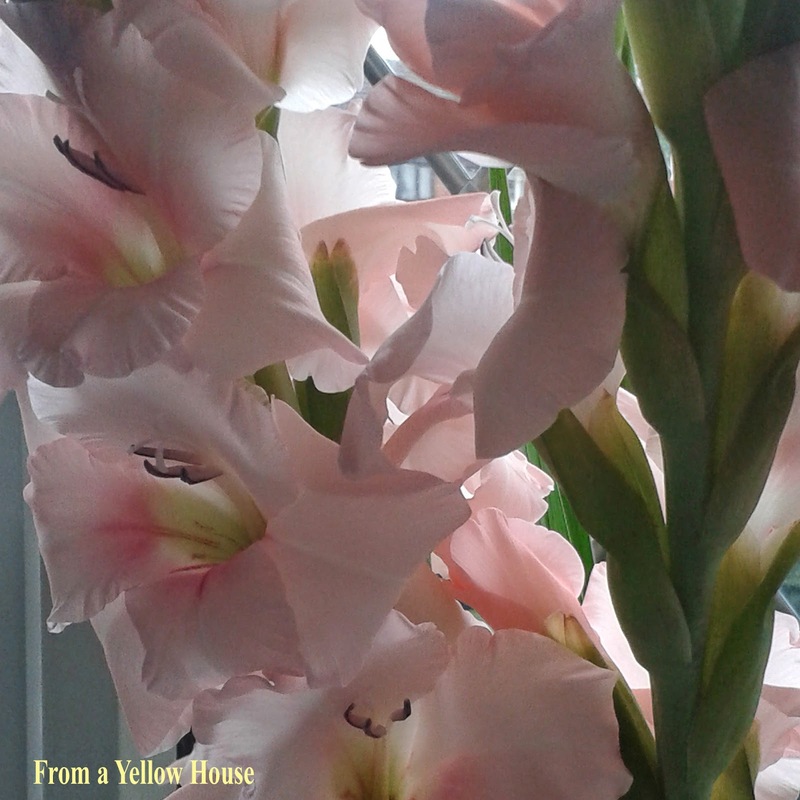 They are gladiolus. Aren't they just gorgeous? I picked them up at the store the other day and they're just blooming like crazy now.